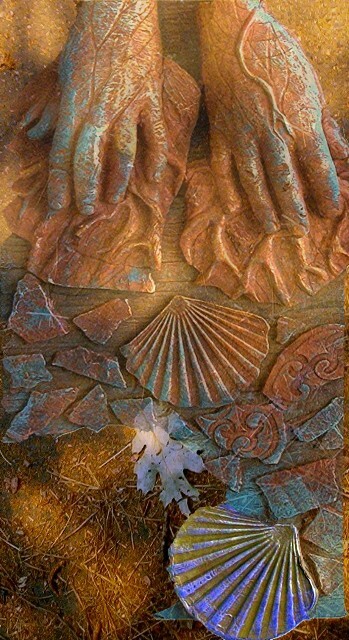 Years ago I performed a ritual invocation at Samhain with this haunting, visionary rendition of Hildegard Von Bingham's "O Successores Fortissimi Leonis" by the group Vox, recorded in the early 1990's at my "Rites of Passage" Gallery in Berkeley, California. The Invocatioin was done with 4 women in a circle, facing outward, turning the circle and with gestures of offering. It was one of the most beautiful and powerful moments of my life. I played the piece again today, and was delighted to find it had been uploaded on UTube. Von Bingham's vision and prayers reach across the ages to touch us here. 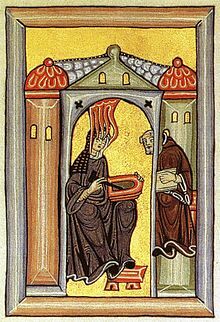 "Hildegarde of Bingen, also known as St. Hildegard and the Sybil of the Rhine, was an enormously influential and spiritual woman, who paved the way for other women to succeed in a number of fields from theology to music. She was a mystic writer, who completed three books of her visions. During a time when members of the Catholic Church accorded women little respect, Hildegarde was consulted by bishops and consorted with the Pope, exerting influence over them. She wrote on topics ranging from philosophy to natural healing with a critical expertise praised by both German advice-seekers and the highest-ranking figure in the Church, Pope Eugenius III. An esteemed advocate for scientific research, Hildegarde was one of the earliest promoters of the use of herbal medicine to treat ailments. She wrote several books on medicine, including Physica, circa 1150, which was primarily concerned with the use of herbs in medicinal treatment. Hildegarde may be best known as a composer. Stemming from the traditional incantations of Church music, Hildegarde’s compositions took the form of a single chant-like, melodic line. These compositions are called antiphons and are a single line of music sung before and after a psalm. Hildegarde combined all of her music into a cycle called Symphonia Armonie Celestium Revelationum, circa 1151, orThe Symphony of the Harmony of the Heavenly Revelations, which reflects her belief that music was the highest praise to God. 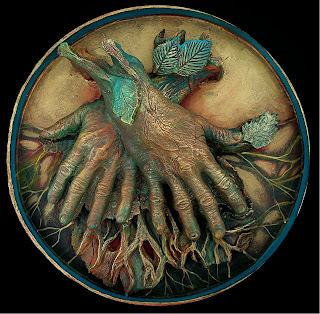 Earth Day - "Green Hands"
I will sing of the well-founded Earth, mother of all, eldest of all beings.She feeds all creatures that are in the world, all that go upon the goodly land,all that are in the path of the seas, and all that fly; all these are fed of her store. Earth Day, but truth be told, all days should be Earth Day, because our Mother Gaia is the greater life we live within, the greater life we have the privilege of being each a tiny part of. 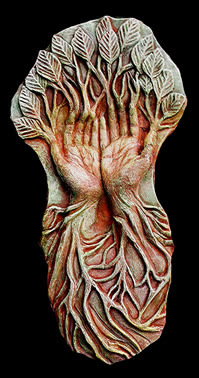 I found myself thinking about the many "Green Hands/Earth Hands" sculptures I've made over the years, an image that occurs over and over for me. 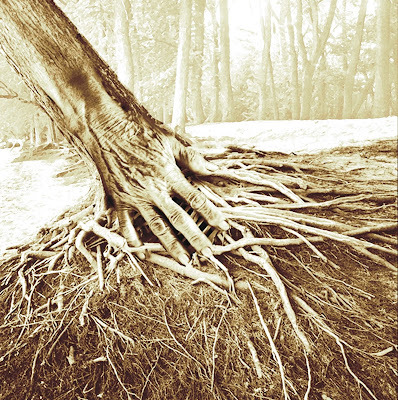 Rooted in the Earth, greening and flowering in our creativity and the works of our hands. I guess, after all, each of them is a kind of blessing and a prayer. 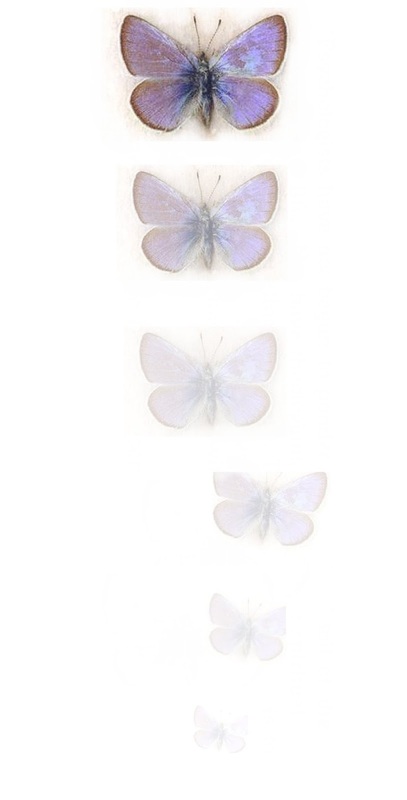 “Psychologists have not begun to ponder the emotional toll of the loss of fellow life. 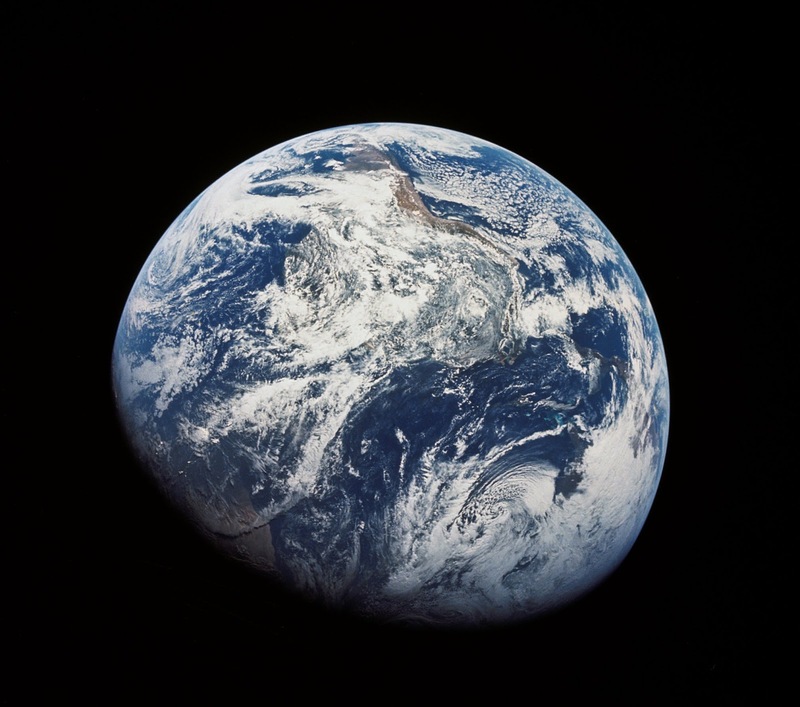 Nor have theologians reckoned the spiritual impoverishment that extinction brings. To forget what we had is to forget what we have lost. And to forget what we have lost means never knowing what we had to begin with." "This is a dark time, filled with suffering and uncertainty. 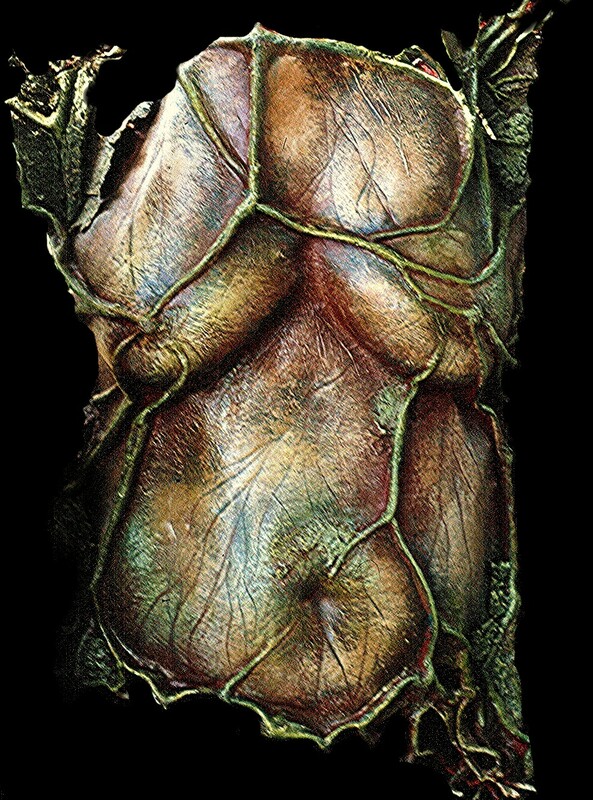 Like living cells in a larger body, it is natural that we feel the trauma of our world. So don’t be afraid of the anguish you feel, or the anger or fear, because these responses arise from the depth of your caring and the truth of your interconnectedness with all beings." If you have never encountered Sherry Glasser and her personification of Mother Earth ("So, ah, how exactly do you think you got here without a Mother?") here's a beginning! Sherry is well known in Northern California, and this performance of Oh My Goddess was presented at Fort Bragg Town Hall, for the Ocean Protection Coalition Save The Whales Event in May of 2010. Enjoy! Last week I attended a benefit screening of FRAME BY FRAME, a new film by Alexandria Bombach and Mo Scarpelli. It was such a moving and well made film, that deeply revealed the courage of four Afghani photo journalists, one a woman, another an artist who won a Pulitzer prize. It tell so poignantly not only the story of these artists, dedicated to telling the stories of those who cannot speak, very often at danger to their own lives, but also the healing vitality of the arts in the face of repression and tyranny. I highly recommend this film, and highly recommend checking out and supporting if one can the organization it was screened for, the AFGHAN WOMEN'S WRITING PROJECT. I went to high school in Afghanistan, as my father worked for USAID, in the days before the deposition of the King, good days of prosperity and modernization for that war torn country. It is hard for us, especially for women, to imagine what has happened there under the tyranny of the Taliban - the Afghan Women's Writing Project is an Internet based group of volunteer teachers and networkers who assist women in the country to share and develop their writings - to tell their stories through poetry and fiction. For many of these women it is a vital lifeline, and their words are beautiful and heart-rending. because it is not here yet. I live today. It is the moment! Enjoy the love and existence. They are gone or not here yet. "When the Taliban ruled Afghanistan, taking a photo was a crime. After the regime fell from power in 2001, a fledgling free press emerged and a photography revolution was born. Now, as foreign troops and media withdraw, Afghanistan is left to stand on its own, and so are its journalists. Set in a modern Afghanistan bursting with color and character, FRAME BY FRAME follows four Afghan photojournalists as they navigate an emerging and dangerous media landscape—reframing Afghanistan for the world, and for themselves. 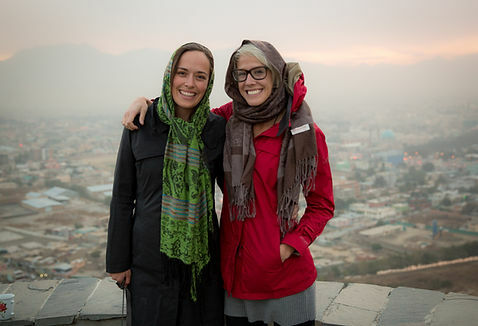 Through cinema vérité, intimate interviews, powerful photojournalism, and never-before-seen archival footage shot in secret during the Taliban regime, the film connects audiences with four humans in the pursuit of the truth." Last December, my family held a graduation party for me and my siblings. Alia and I had graduated high school and my elder sister, Gullafroz, and my elder brother, Arif, graduated from university. At the end of the party, as I was serving tea to everyone, my auntie called me to talk. She began, “Look you are graduated now, for example, you learned everything and you are smart now.” She said “for example” to make fun of me. Every time my auntie came to our home, she always said school was not a good option and advised my sisters and me to get married rather than go to school. I was searching for my sisters from the corner of my eye; they were at a side of the room talking to each other. They smiled back and rolled their eyes—meaning they had already heard the lecture. She continued talking about her early life. But I was not listening. My mind was on a memory from Kandahar. After I finished third grade at school in Kabul, my father found a job in Kandahar and the whole family had to move there. It was mid-December when we arrived. We had to live in a small apartment with two tiny square rooms and a square yard. A tiny bathroom was on one side and it shared a wall with the kitchen, which only had room for one person to cook while standing. There was a girls’ school about three blocks away from our home, which my sisters and I attended. I really liked my school. I wore a long black dress down to my knees and black pants that I pulled high so that my ankles could be seen. My ankles were whiter than those of the Pashtun girls I saw. I really wanted them to see my ankles. I thought they would be jealous of my white feet; instead they looked at us as if looking at something dirty. And of course, we had to wear the white headscarves. Gulafroz was covered in black from head to toe since she was older. I ironed my uniform every night before going to sleep and polished my black sandals. One summer morning, I got dressed and took my pink umbrella to shield my head from the sun although it was only 6:30 a.m. and the sun had not risen yet. When my sisters and I arrived in front of the school gate, there were two men standing there. They looked like tall, long birds with wide eyes. To see them, I had to raise my head high and move my umbrella to the side. They were frowning. One of them asked, “Almond-eyed people, where are you going?” The other one spoke in a Pashto accent. I could not understand all the things he said, but I understood this: “Go back. School is closed. Go back home. Never again, no female school.” The two men exchanged some words in Pashtu and then burst out laughing. One of the men was dressed in a dark brown pirhan tumban, the traditional dress for men. He had dark eyes, a steadfast gaze, and thick eyebrows. He looked down at me and frowned so that his thick eyebrows almost came together. “I want to go to my school,” I said. They stepped forward and pushed the three of us to the ground. Our black uniforms filled with dust. They shouted and told us to go home and never come back again. We were scared and ran back home. Two weeks passed but still the school was locked. My sisters and I were so depressed being at home that my father started taking us with him to the hospital where he was working twice a week. One day it was too hot to play outside so I sat in the waiting room observing the patients and the doctors doing their work. A Korean doctor entered the room. She wore a white coat and she looked fascinating to me. For a moment, I saw myself instead of that woman. The desire to be proud of myself and make my father proud of me rushed into my heart and cut it so deep that I had to leave the room. “I want to go to school.” I said. When I said this out loud I realized all I wanted was to be able to return to school in my black uniform and carry my pink umbrella above my head. Then Khala suggested I attend a school that was three miles away from the hospital, about a two-hour walk from our home. After three days of begging, my father finally agreed to let us go. After six weeks of no school, we began walking to our new school. We had to walk about three to four hours to get to school and home again. It was a very long way but it was fun for us. So we would not get lost we remembered the shops along the way: a music store that played Indian classic music, a vegetable store with all my favorite fruits, a mosque painted white with a door we always kissed as our mother told us to do and finally, a bookstore. I liked to stand outside this bookstore to look at the books they put out on display. I recognized that bad won over good when two men pointed their guns to my father’s forehead and shouted to him to get out of Kandahar because he worked with foreigners. I do not blame those men. If we put pens and pencils in empty hands of men and make them busy with writing about the beauty of their life, then murderers and enemies of peace won’t have the chance to put guns in their hands and teach them to point their guns toward us. Today I am happy that I have continued school and finished high school. Sometimes I wonder what would have happened if we had not returned to school, although the answer is simple: we would believe all the things our auntie said to us. Gulafroz would get married, then me and then Alia. We would miss the future we dreamed of. We would not work in the office we dreamed about. I would never get the house with the library in it that I want. I would miss the woman I wanted to become. This piece has also been published by Women’s eNews. Photo by Global Partnership for Education. My second offering for National Poetry Month, and also the Tucson Poetry Festival, which is going on this weekend. Looking back to poems I re-discovered in my files, poems some 30 years old. You can learn a lot about the threads that have woven your life together by reading very old poetry you once wrote. I think I've always been a part of that wave of women and men who have been dedicated to bringing the Divine Feminine back into the world, to "restoring the Balance". And I have always sensed what Clarissa Estes called "the Wild Woman archetype" (and "the Dangerous Old Woman") just under the surface of the various repressions, trivializations, and enslavements I've seen or experienced as a female being in this world. 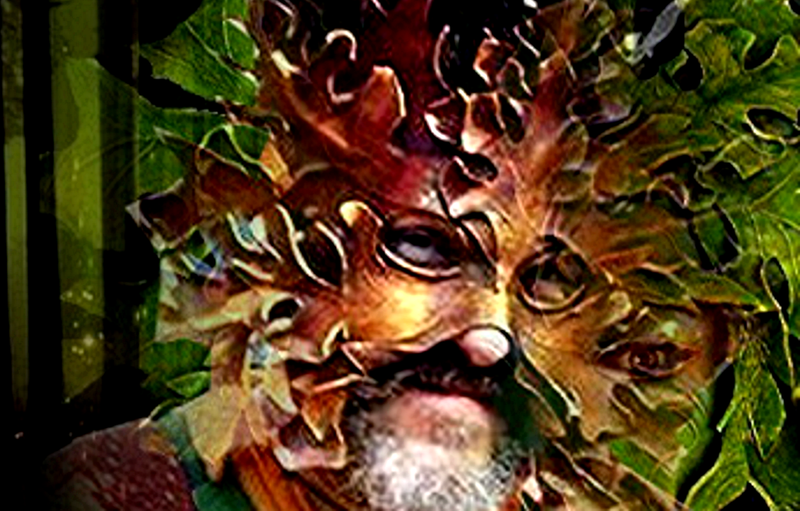 A force that bubbles up from the ground like melting permafrost, like a call in the moonlit night, echoing from within the darkened woods, "Amazons" ran like the sap of maple trees in the early spring of 1982 when I was living in the woods of Vermont, like hearing an ancient voice. "Veils" I remember writing around that time as well. And "Cocoons" is so old........I think I wrote it in 1976 or so, shortly after hearing of the death of Tim Buckley. did you think the moon belonged to you? your huge faith in your importance? We are calling on powers you have no right to. gently urging you to smiling inquiry. One breasted women are not gentle. Our scars are for remembrance. pinned to a beech tree. You still do not understand your danger. this I did for you. Some are colored like lead. Some are not fabric, but cement. these are set gradually to harden. Some are tombs for the heart. that spoke a private language. I encompass the length of the ocean. has fallen from my hands. to become something less than light. "Australian dream time seems strange to us because we distinguish stories from places. For the aborigines places arestories: song-lines. To "settle" a wild place means to create not only houses and farms but also the stories that make them a home. For native Australians, their deserts are home because they are verdant with stories." 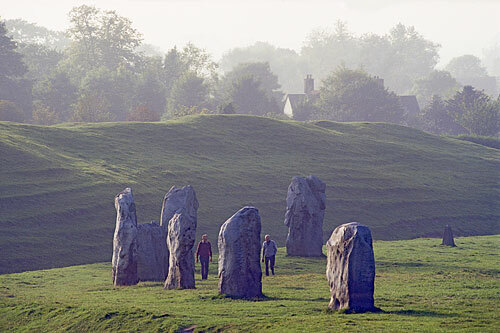 Here's an article I put together a few years ago, after visiting Avebury in southern England, as well as the sacred wells of Glastonbury. Ah, how I would love to return! But one does not need to go to Wiltshire, or walk the Camino, to make a pilgrimage and to realize the life and sanctity of places. If we see ourselves as participating within the Body of Gaia, well, then all places participate in Her life, are infused with evolving intelligence. 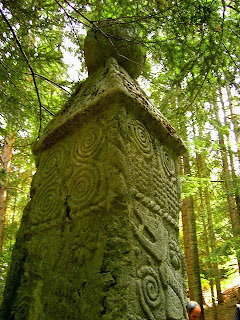 I have long been inspired by dowser Sig Lonegren, who has spent many years exploring sacred places, in England, Europe, and in the U.S. As a dowser myself, I've experienced shifts in energy - which means also shifts in consciousness and perception -many times when visiting areas that are geomantically potent, be it the henge of Avebury, or the labyrinth at Unity Church in Tucson. Sites are able to change consciousness (raise energy) because they are intrinsically geomantically potent, and/or they also become potent because of human interaction with the innate intelligence of place, what the Greeks called "genus loci". Geomantic reciprocity - as human beings bring intentionality, reverence and focus to a particular place, building sacred architecture, or engaging in ritual. The conversation becomes more active as place accrues myth, story in the memory of the people, and the memory of the land. Sacred places have both an innate and a developed capacity to transform consciousness. And the power of myth is important if we wish to engage the numinous presence, to "talk to the Goddess and petition the Gods". According to Sig, who references psychologistJulian Jayne''s controversial 1970's book The Origin of Consciousness in the Breakdown of the Bicameral Mind, possibly because, as human culture and language became increasingly complex, we began to lose mediumistic consciousness, a daily, conversational Gnosis. We became more individuated, consciousness became more verbal and less spacial (right/left brain). With the gradual ascendancy of left-brained reasoning he suggests the ancients developed a concern with how to continue contact with the gods, the ancestors, the numina of the land. Stonehenge was a temple on a sacred landscape - according to Sig, it may also represent a "last ditch effort" to keep in touch with the spirit world, to enhance communal experience. 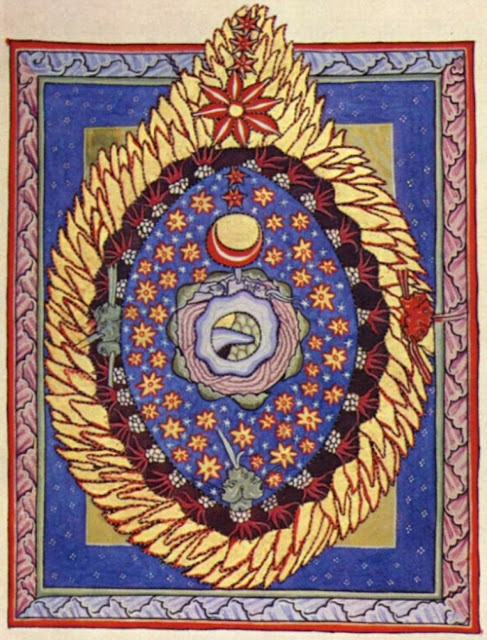 As the rift between personal gnosis and spiritual contact deepened, and especially with the later development of patriarchal institutions, gradually the tribal and individual Gnosis was replaced by complex religious institutions that removed individuals from the earlier tribal mind, and rendered spiritual authority to priests who were often viewed as the sole representatives of the Gods or God. Lonegren, Sig. 2007. Spiritual Dowsing. Glastonbury, England: Gothic Image. History of the earth energies, healing and other uses of dowsing today. A book for the spiritual pilgrim. Initially published 1986. ISBN 978-0-906362-70-9. (Available from Amazon books). Turns to bare brown sand. Pillars of cloud and salt. We rush to gain tomorrow. Leave a long, empty furrow. Her bright eons of days. As all song should, in praise. The grace that still amazes.